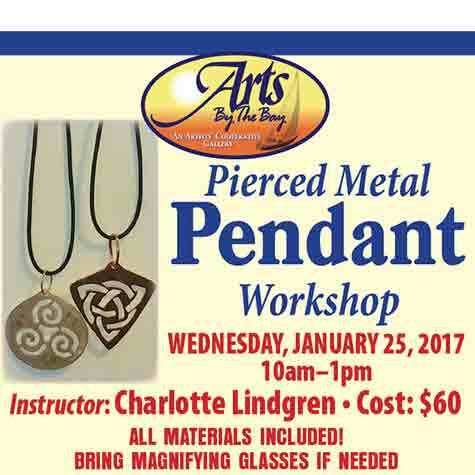 Arts by the Bay Gallery announces a Pierced Metal Pendant Workshop with Artist Charlotte Lindgren. All materials are included but bring magnifying glasses if needed. Take home the pendant you make.